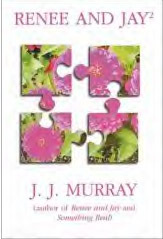 Readers we are pleased to present to you J.J. Murray. 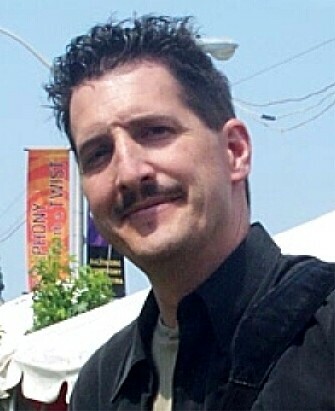 He is the author of six novels, which include Renee and Jay, Renee and Jay 2, Something Real, Original Love, I'm Your Girl, and the soon to be released book entitled Can't Get Enough Of Your Love. He has also published Calzone Street, a collection of poetry. Hello J.J., welcome to Books2Mention Magazine. Thanks for allowing our readers to learn more about you. B2M: What encouraged you to begin writing? J.J.: When I was 6, my dog Murphy inspired me to write, "Ode to a Mutt." It won some sort of award, and my elementary school sent me to "Young Writers Camp." After that, I wrote lots of bad poetry all the way through high school. B2M: What is the central message that you hope to send to readers of your books? J.J.: I believe that we're all the same in the dark. I believe that folks are folks, no matter their race, color, creed, religion, socioeconomic status, height, weight, or ability to fry chicken, dance, or do a chair dance. I hope my novels convey that even normal, ordinary folks can meet other normal, ordinary folks . and have exceptional romance. B2M: What inspired you to write I'm Your Girl? J.J.: I had a few morbid thoughts: What if I were suddenly without wife or children? Would I a) be able to go on living, and b) would I ever find another soul mate? Because I am similar to Jack in many ways (i.e. hanging out in libraries, talking to myself, living my life as a bookworm), I know I'd look for someone who does all the above. B2M: What key ingredients do you feel are needed when creating stories that readers can relate to? J.J.: Believable characters, situations, and plots. I'm not always successful, but if I can't believe I wrote it, neither will readers. B2M: How gratifying is it to have readers so excited about the novels you have written so far? J.J.: I have a dedicated group of readers who encourage me greatly and keep me writing. I also have a dedicated group of critics who get excited whenever another of my books comes out so they can try to discourage me from writing. These critics keep me writing, too. B2M: Are you able to feed off this positive energy and use it to enhance your creativity for future projects? J.J.: I feed off any kind of energy, even negative energy, to create . though when I'm writing romance, I much prefer positive energy. 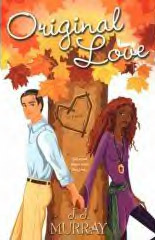 B2M: So far, your books have dealt with interracial relationships. What has been the motivation behind you writing books that deal with this particular subject? J.J.: My wife and children. J.J.: I have a manuscript still making the rounds in New York about a biracial man's odyssey from addiction, loneliness, and defiance to sobriety, family, and love. It is a departure from my other "relationship" books in so many ways, yet it is still a love story at its core. It may be too different, I don't know. B2M: Your new book entitled Can't Get Enough Of Your Love is due to be released soon. Can you share a little of the story with our readers? J.J.: Zora Neale Hurston's Janie, from Their Eyes Were Watching God, had three lovers during her lifetime. I decided to let a modern woman have three boyfriends at the same time. She keeps them separated from each other and somewhat separate in her mind until, to quote Chinua Achebe, "things fall apart." 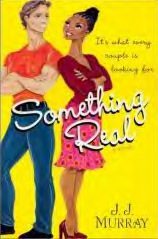 After that, she discovers who she really is, who her family really is, and the kind of man she's really after. B2M: Do you write from personal experiences or from a wild imagination? J.J.: Yes. I've had some wild personal experiences. Oh, and whenever I eat chocolate after 9 PM, I tend to get wildly personal in my writing. B2M: If you were stranded on an island for an extended length of time but had the opportunity to bring three things of significance with you, what would they be and why? #1: A fishing pole so I can eat. #2: An MP3 player with solar batteries that contains a bazillion albums beginning with Stevie Wonder's Songs in the Key of Life. #3: A solar laptop with satellite wireless (do they make such a thing?) so I can write the epic in me that's dying to get out. B2M: What do you aspire your legacy to be as a writer? J.J.: He made people smile, laugh, cry, and get angry, leaving us with a unique body of work about real situations and real folks who weren't afraid to be human, freckles, warts, and all. J.J. we enjoy reading your work and we encourage you to continue writing stories that deal with real people and real life situations. 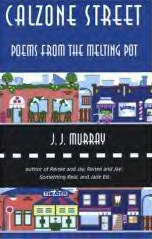 You are welcome to visit the website of J.J. Murray at www.johnjeffreymurray.com.